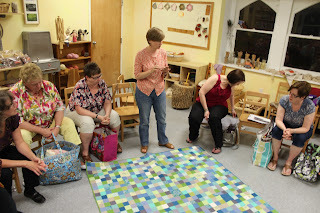 Our June meeting was action packed, because we were all very excited for our upcoming special event with Denyse Schmidt! 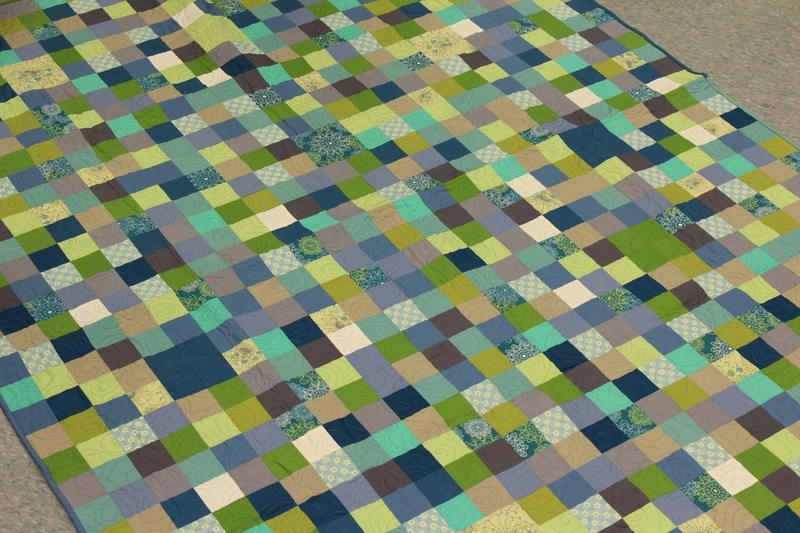 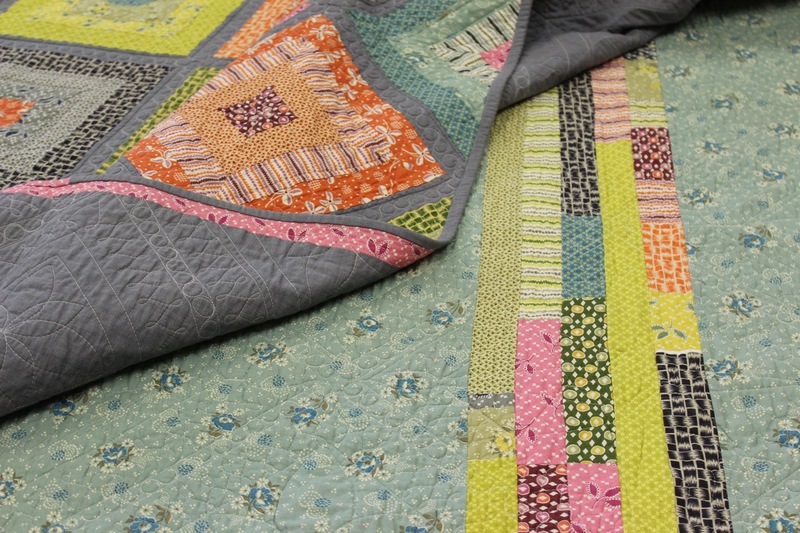 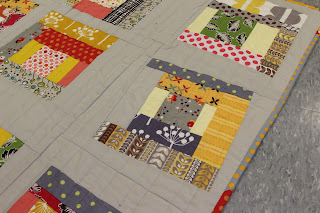 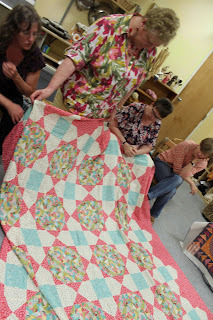 Plus our June challenge was to create a quilt that was inspired by Denyse, her patterns and/or her fabric! 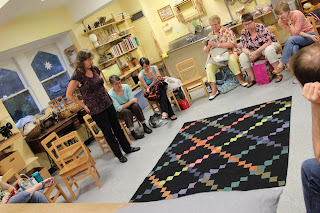 And we all had a wonderful time exploring Denyse's modern style. You can read more about her artistic style here. 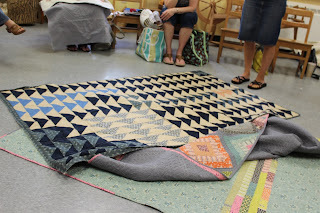 Monica's colored spikes.. not quilt finished yet..
Up next was a member spotlight on Monica Cuartero. 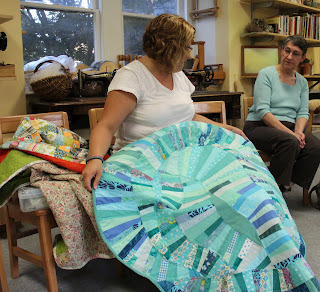 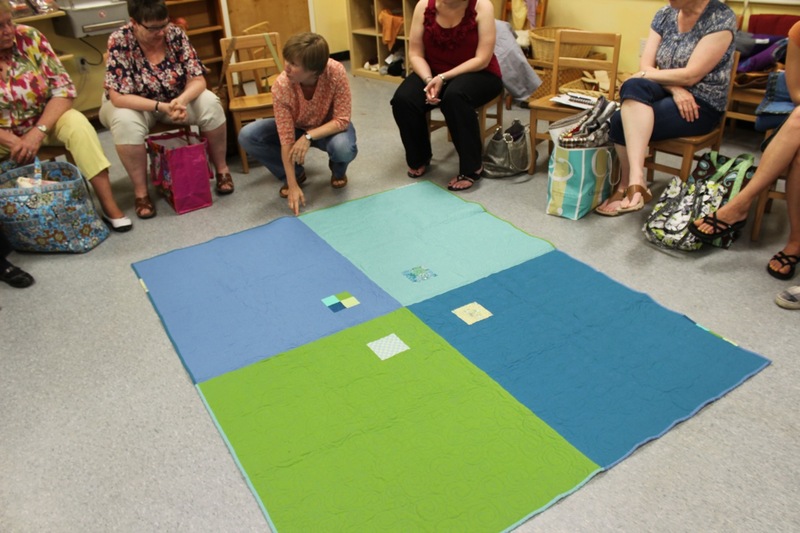 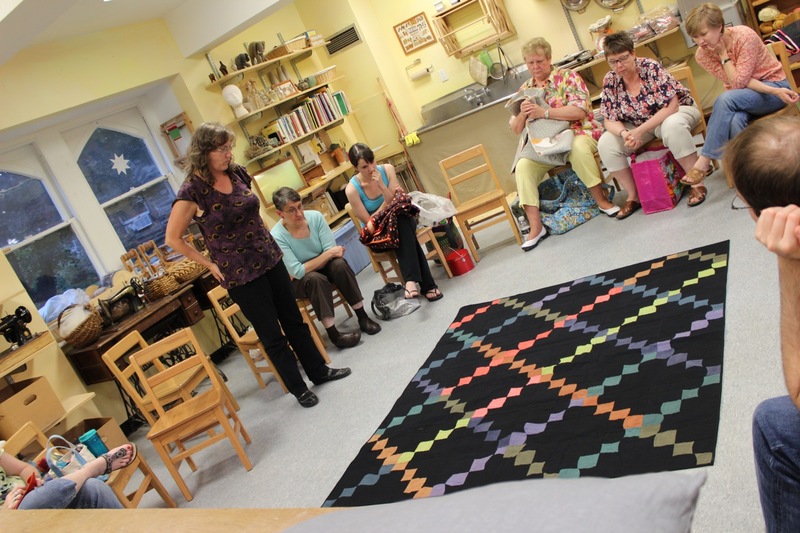 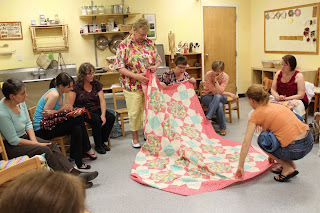 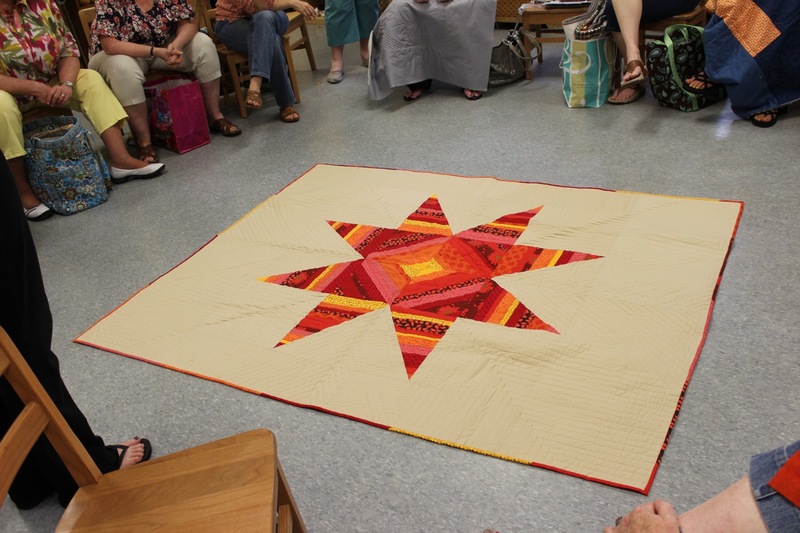 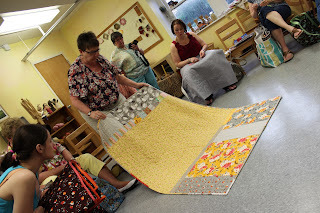 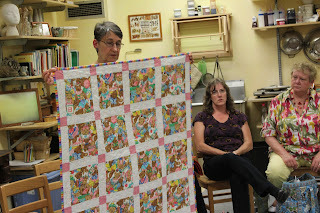 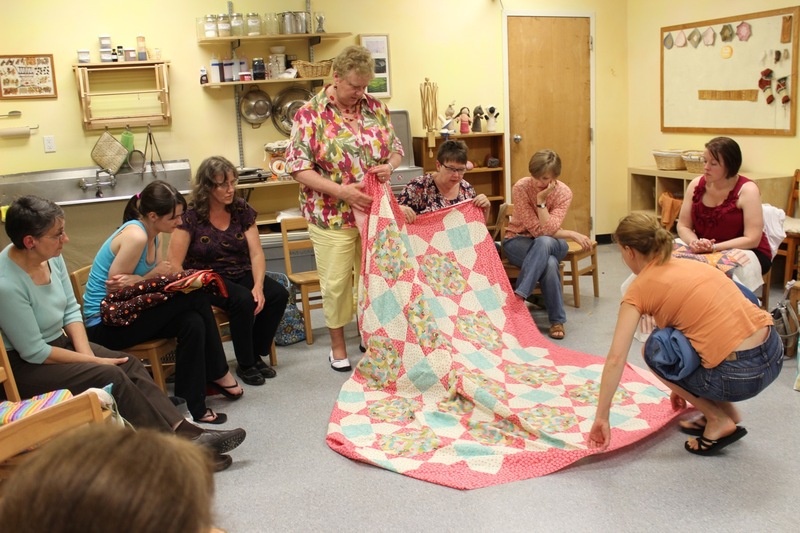 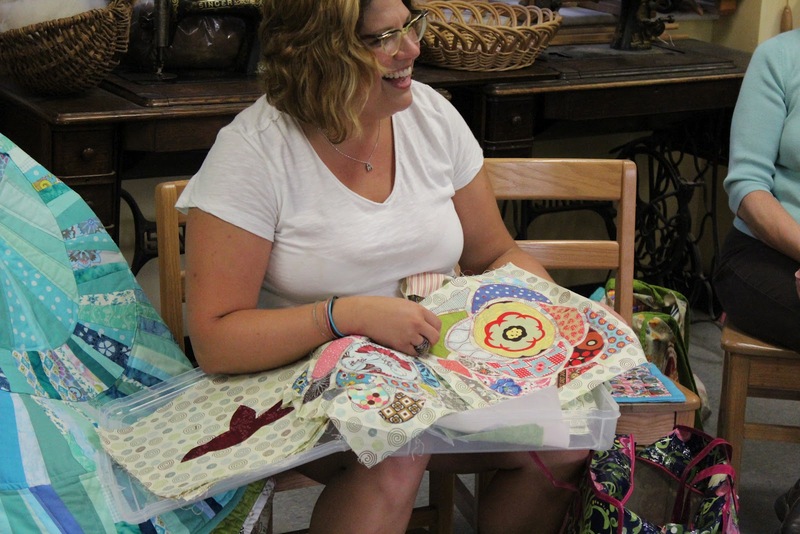 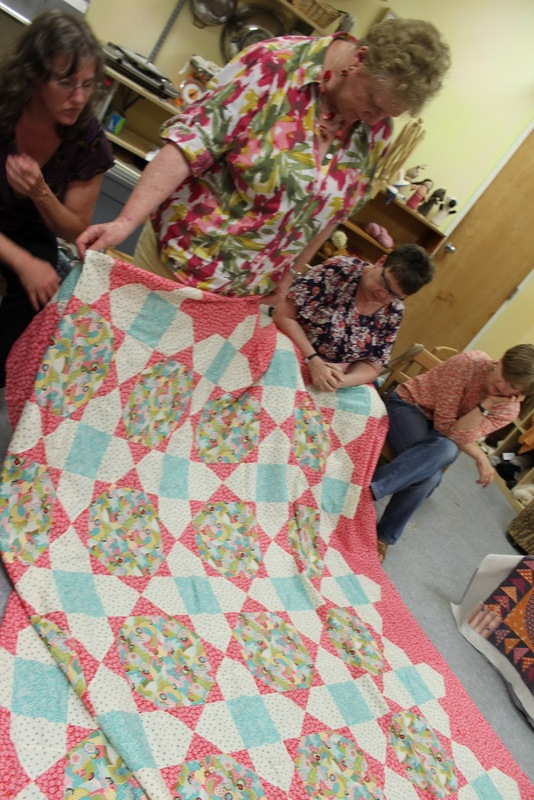 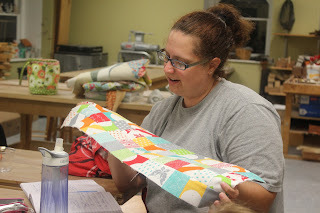 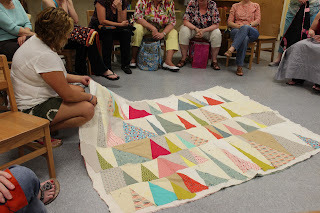 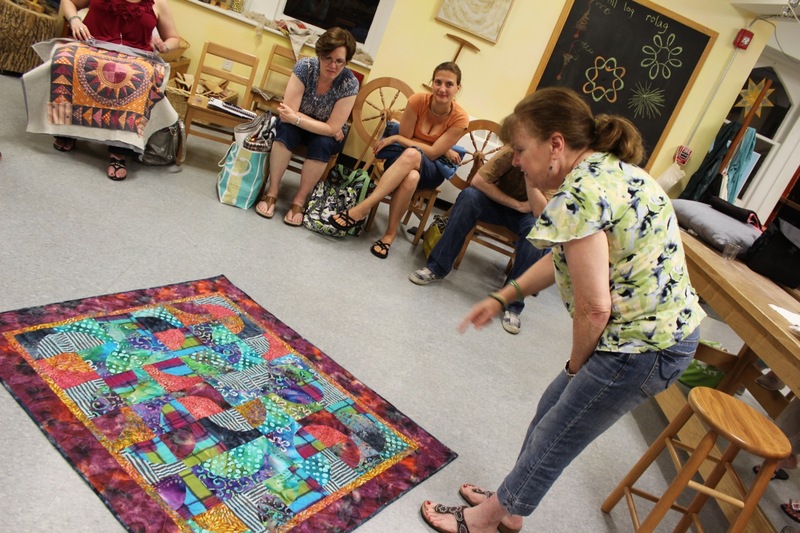 Then we had our June "Show and Tell"
Pat showed us an amazing quilt top she made from a Mystery Quilt challenge! She said it maybe a daunting experience, but she highly recommends trying one out! 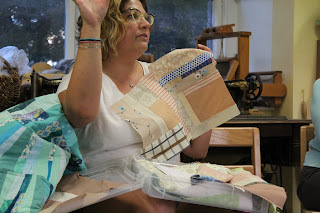 Danette's beautiful "Blue Inspired" quilt..
Michelle is working on a new reversible hand bag. 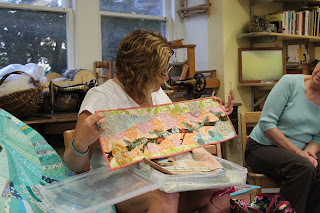 We discussed options for fabric on the inside of the bag. 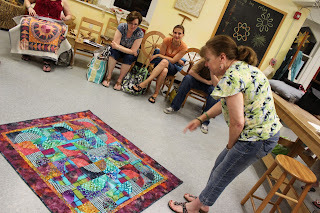 Denyse Schmidt lecture and workshop!